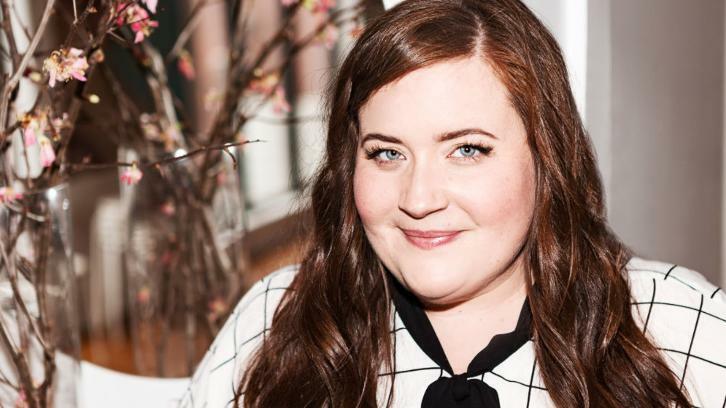 Hulu has ordered a six-episode comedy starring Aidy Bryant (Saturday Night Live). Shrill is based on blogger Lindy West's memoir Shrill: Notes From a Loud Woman. Lorne Michaels and Elizabeth Banks executive produce the series that begins production this week in Portland. It doesn't impact Bryant's role on SNL per The Hollywood Reporter. Lolly Adefope, Luka Jones, Ian Owens and John Cameron Mitchell round out the cast. Bryant, Alexandra Rushfield, and West are adapting the book, co-writing the story and teleplay for the pilot which is being directed by Jesse Peretz (Girls, GLOW). Rushfield (Love, Parks and Recreation) serves as the showrunner for the Hulu comedy series. Bryant also serves as co-executive producer. Bryant stars as Annie who is described as a fat young woman who wants to change her life — but not her body. Annie is trying to make it as a journalist while juggling bad boyfriends, sick parents, and a perfectionist boss, while the world around her deems her not good enough because of her weight. She starts to realize that she’s as good as anyone else, and acts on it. Lolly Adefope (Miracle Workers) will portray Fran, Annie's best friend and roommate; Luka Jones (People of Earth) is set as Ryan, Annie's boyfriend; Ian Owens (Second City's Unelectable You) will play Amadi, Annie's friend and co-worker; John Cameron Mitchell (Hedwig and the Angry Inch) rounds out the cast as Gabe, Annie's boss.